The Natraj Banquet Hall offers services to the Greater Toronto Area (GTA), including North York, Vaughan, Richmond Hill, Woodbridge, Markham, Mississauga and Brampton. It is conveniently located in the most approachable location of Toronto, West of Toronto. 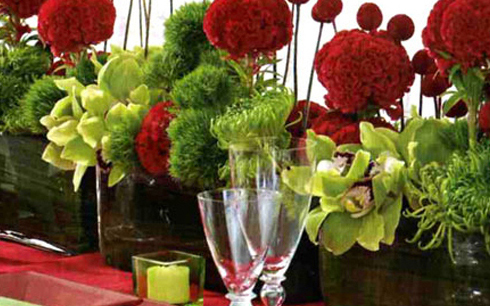 We have two beautifully decorated ballrooms that can accommodate any event. 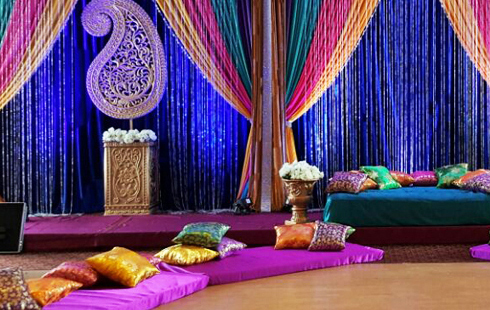 The Natraj Banquet Hall is one of the most elegant venues. It offers banquet rental services for occasions like wedding receptions, engagement parties, rehearsal dinners, bar/bat mitzvahs, business meetings, bridal showers, baby showers, bachelor/stag parties, anniversary parties, birthday parties, graduation parties, proms, conferences and corporate events, baptisms/christenings, holiday parties and fundraisers. Our Grand Ballroom accommodates up to 400 seated guests, while our Junior Ballroom provides a more intimate setting, accommodating up to 100 seated guests. Each ballroom is uniquely decorated and has its own liquor bar and stage/dance floor. There is an ample free parking available for the Natraj Banquet Hall events. Our pricing packages are all-inclusive to ensure that there will not be any unexpected or hidden charges. We include the following in our packages: chair covers, tablecloths, security, use of sound and projector systems, use of semi-intelligent light system, taxes and gratuities. Social and Corporate events are special. The purpose of such events always special and it is important to be worry free. You want the experts organize this experience and help you to make your event a success. We are the team of professionals who are experts in the area of hospitality, food beverages and entertainment. Business meeting, corporate training programs, conventions, luncheons, social gatherings and all other auspicious occasions NatrajNatraj will be proud to host. Our establishment is committed to help you, work with you and make each event a success. We like challenges. Our establishment will overcome all challenges to the details. Details are the heart and spirit of Natraj. Each team members reflects a true Canadian. Here we are full of diversities.